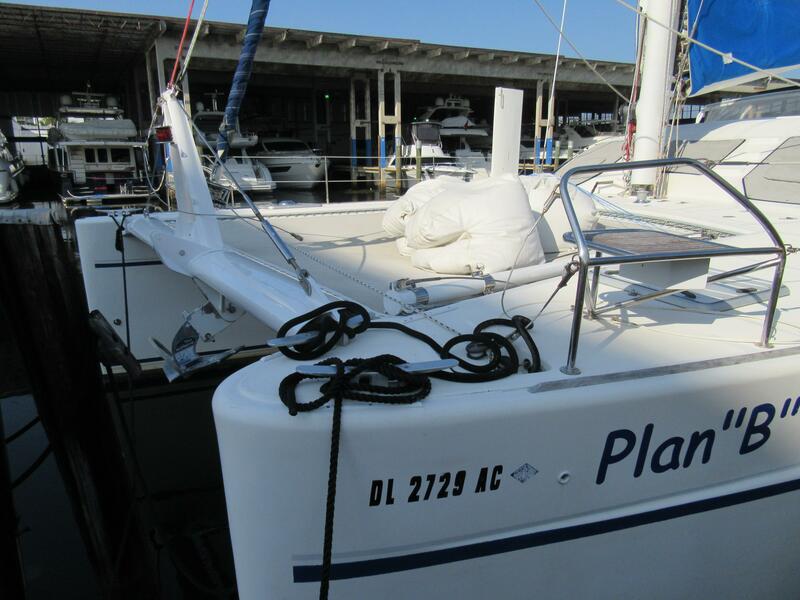 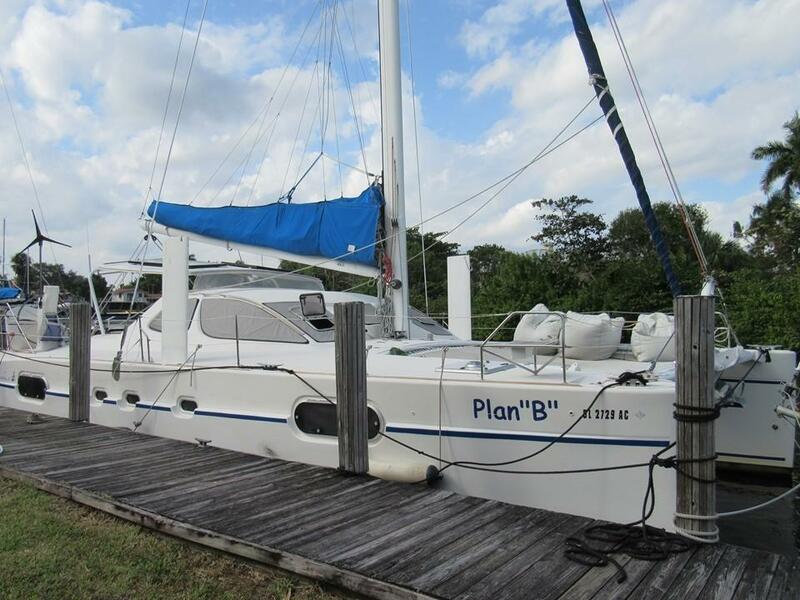 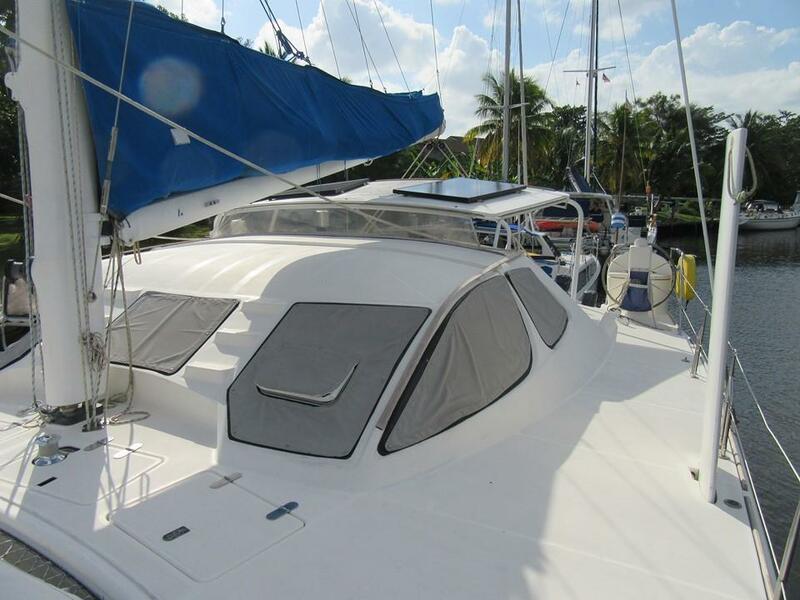 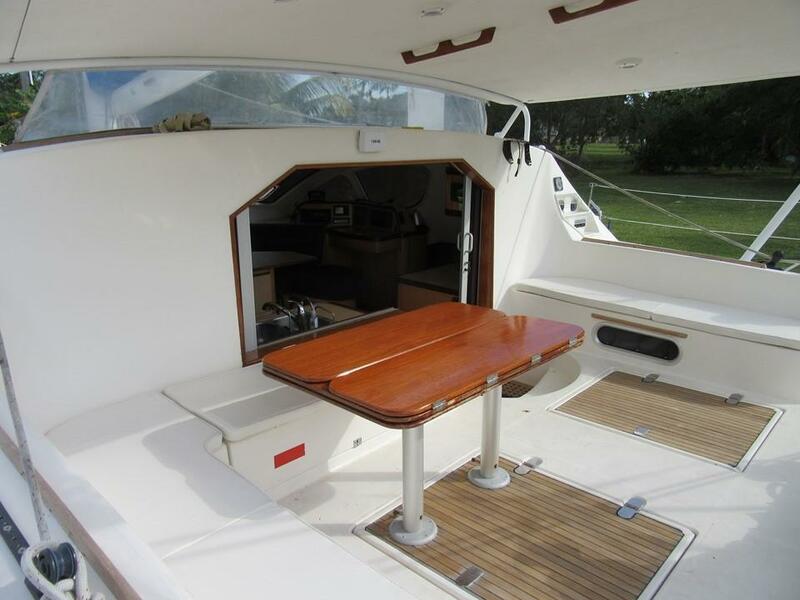 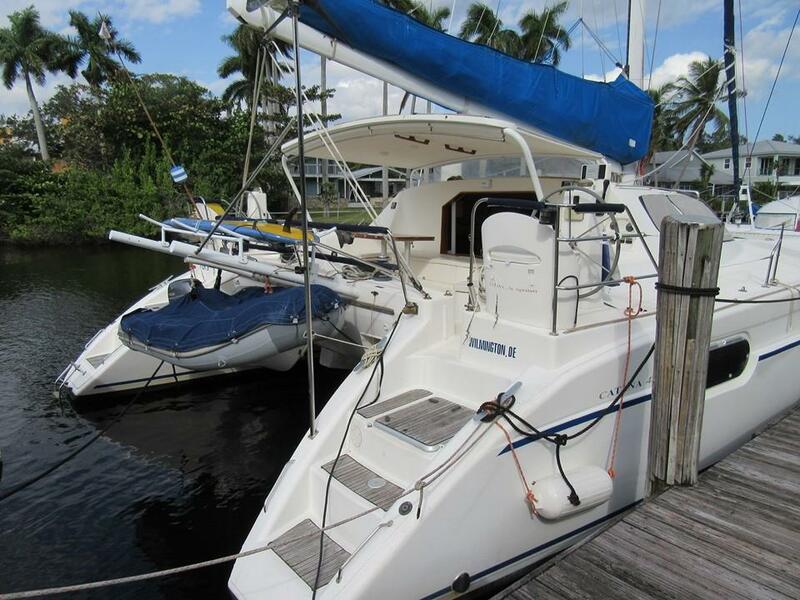 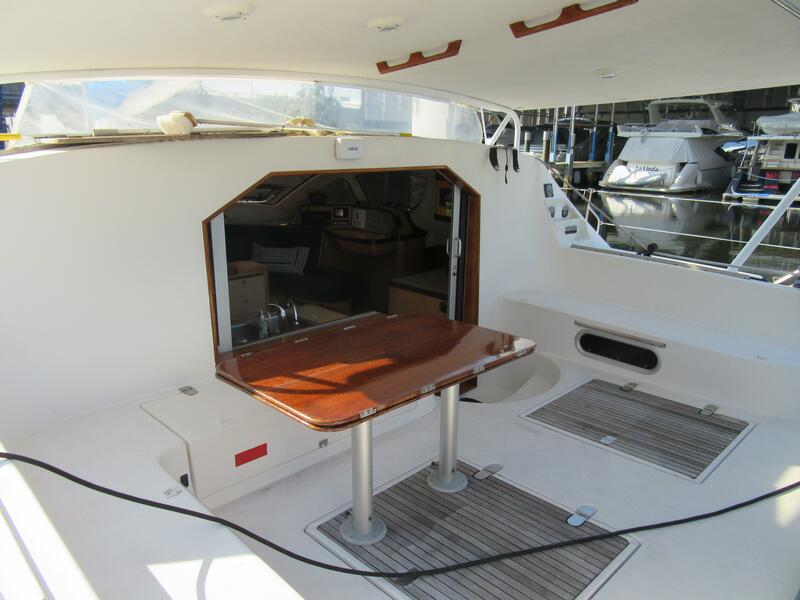 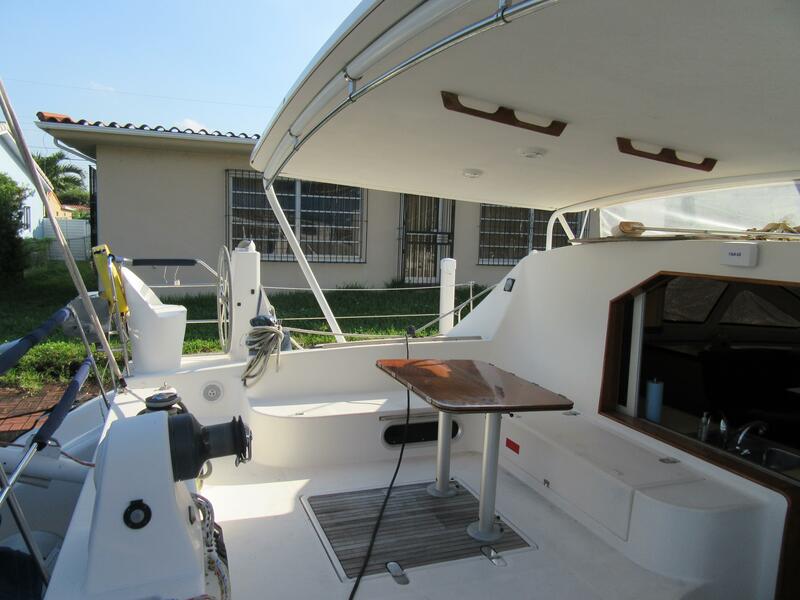 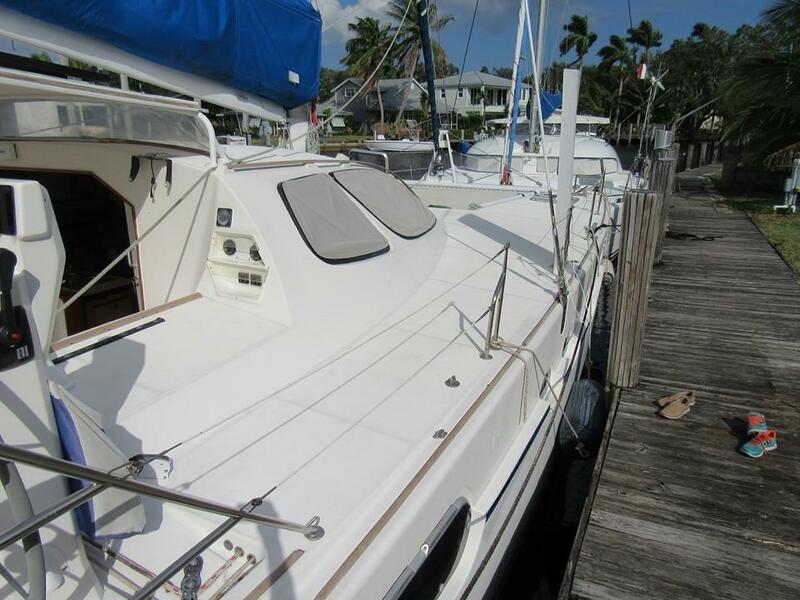 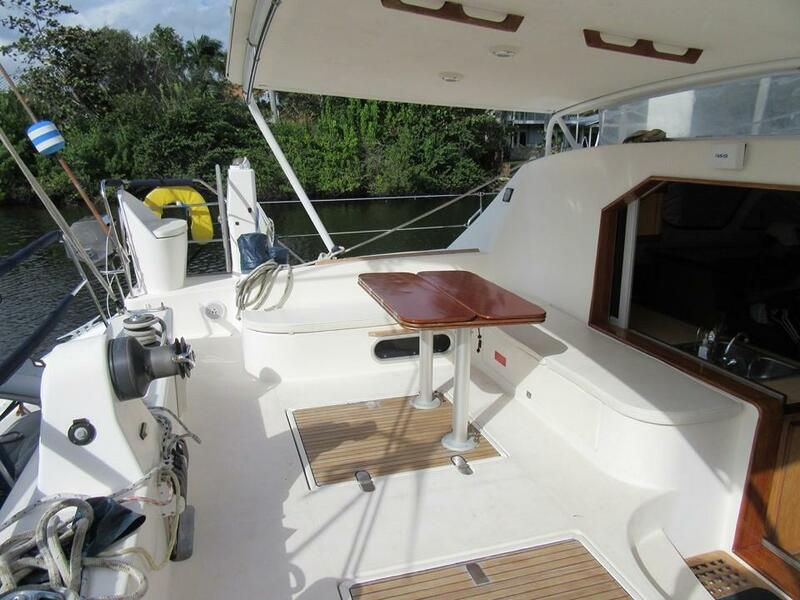 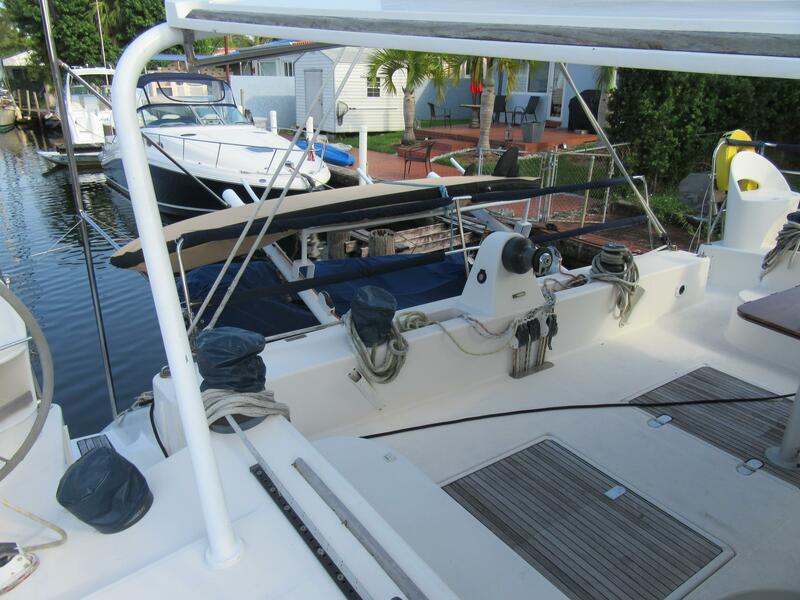 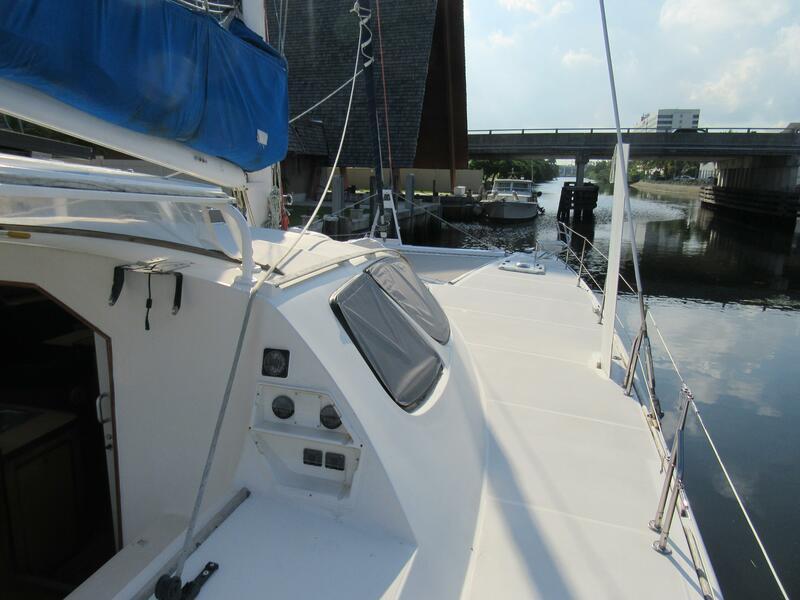 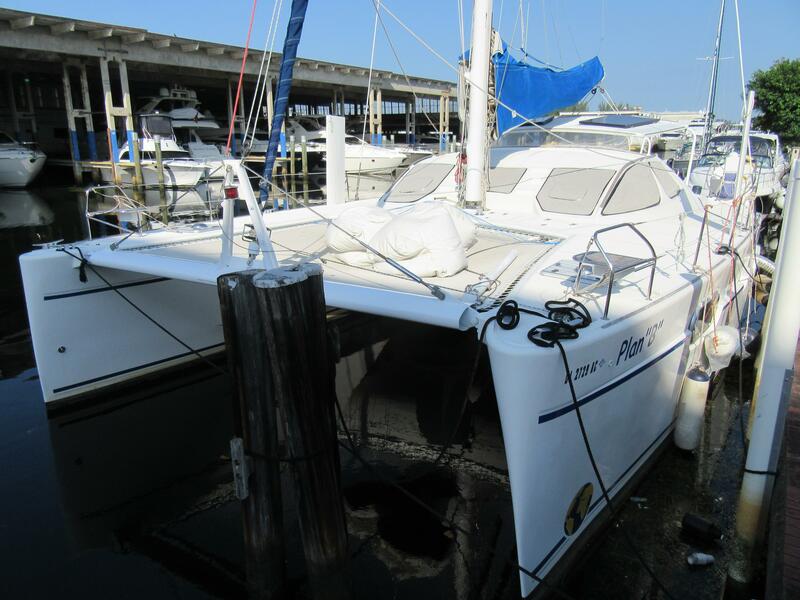 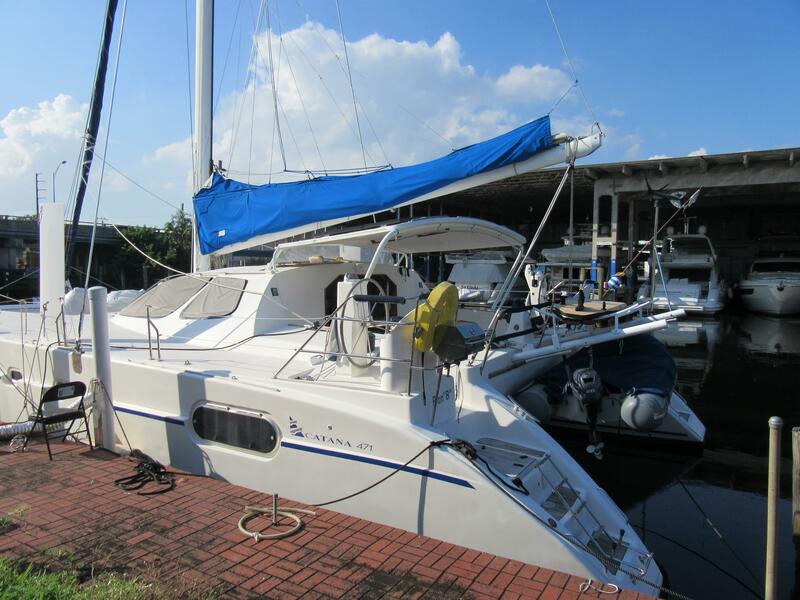 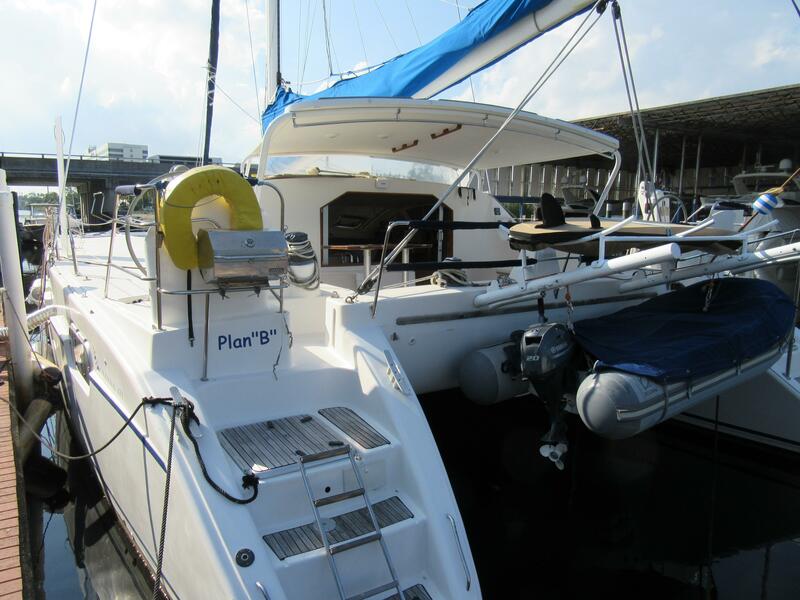 Catana 471 PLAN B is a light, fast version of this legendary performance cruiser offered at a very attractive price. 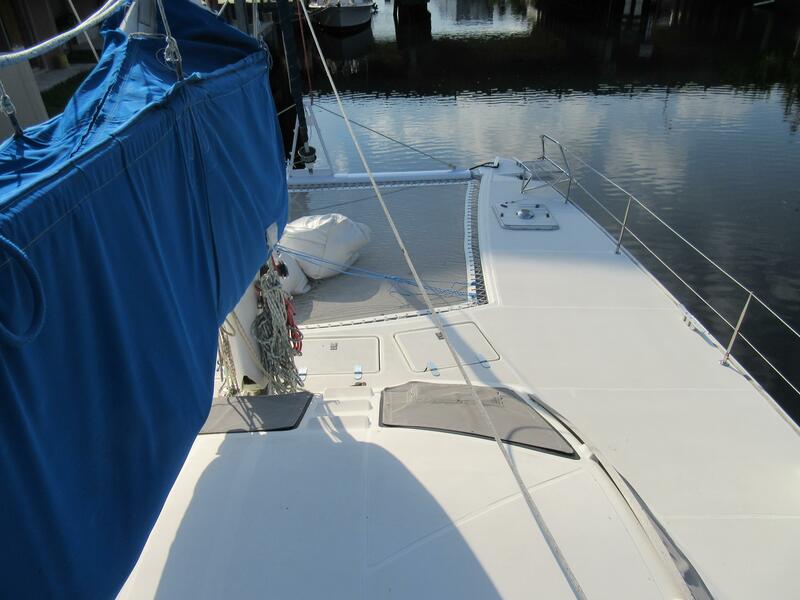 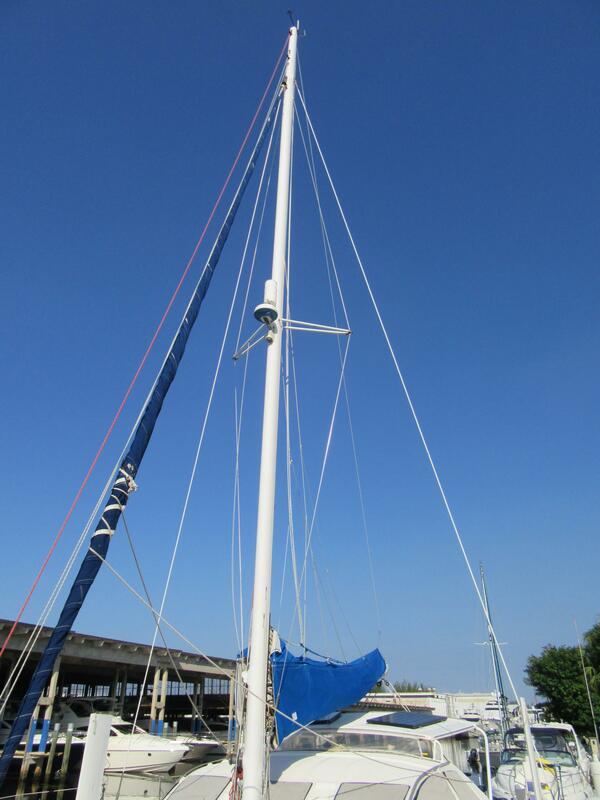 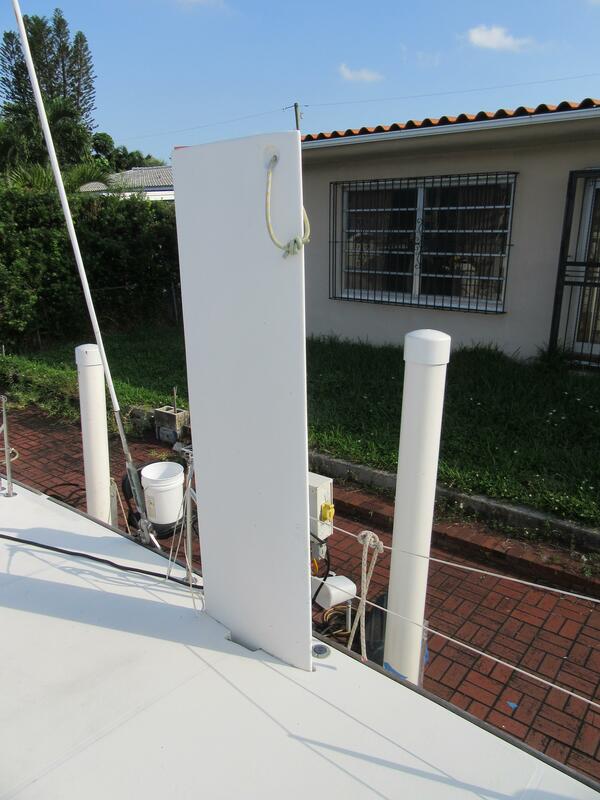 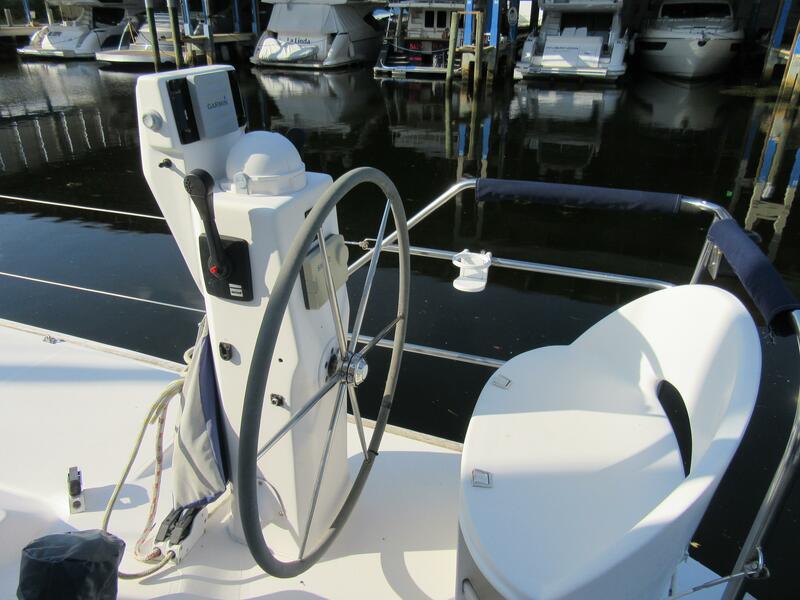 It sports a 70 foot carbon mast, twin daggerboards, bowsprit and carries 5 sails. 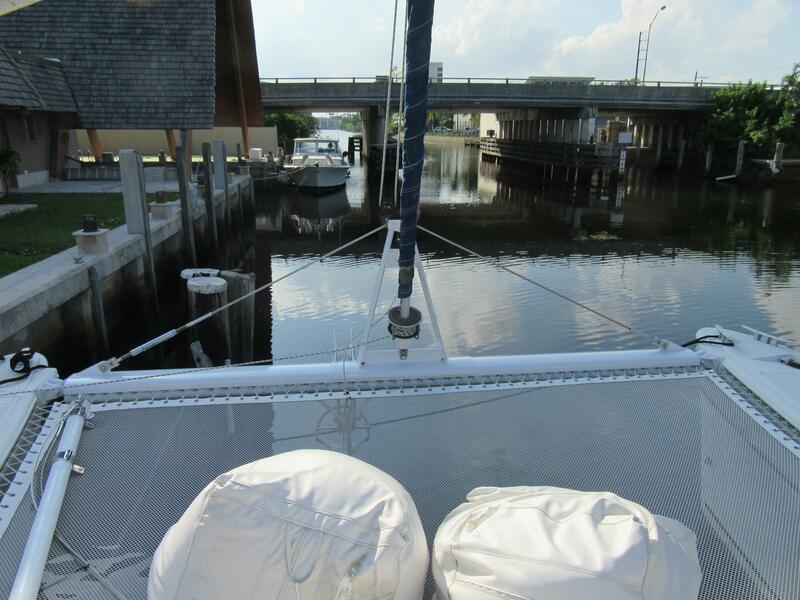 A bluewater sailor’s dream. 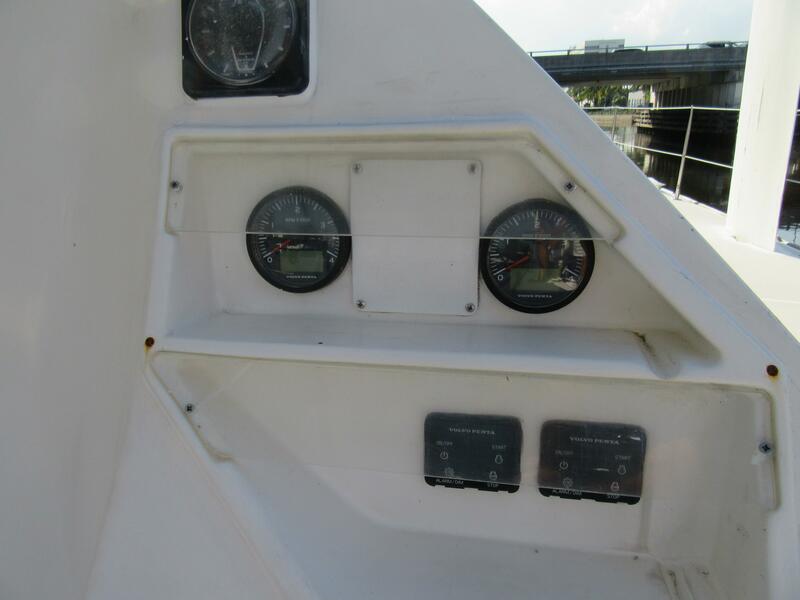 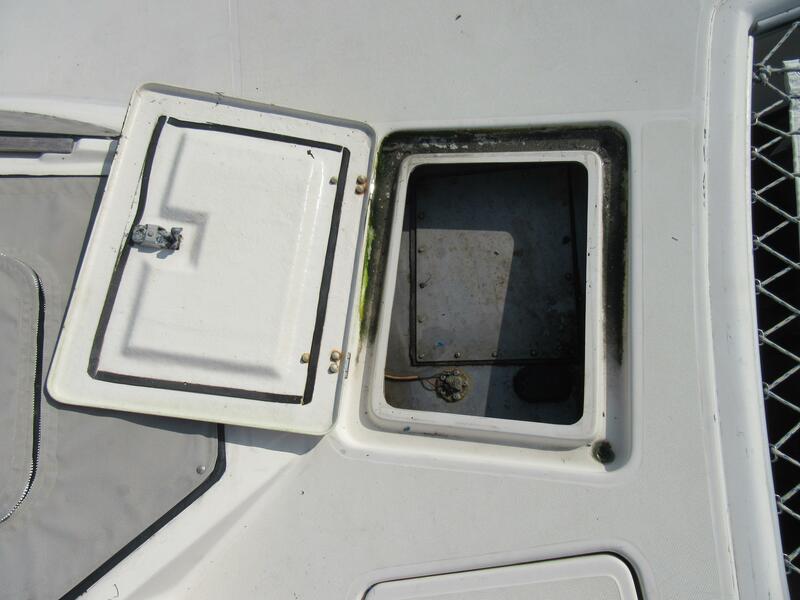 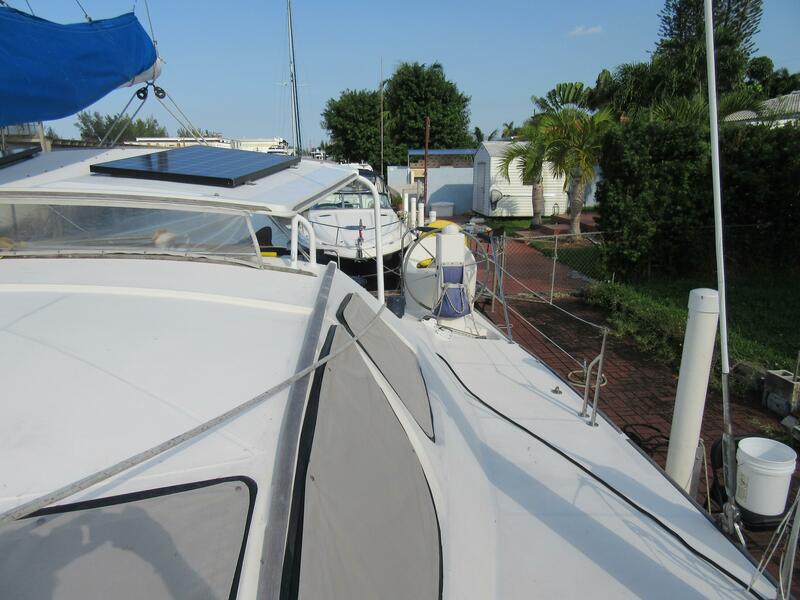 It has a 4 double cabins, 2 head layout: there is one head/vanity compartment and one shower/vanity in each hull. 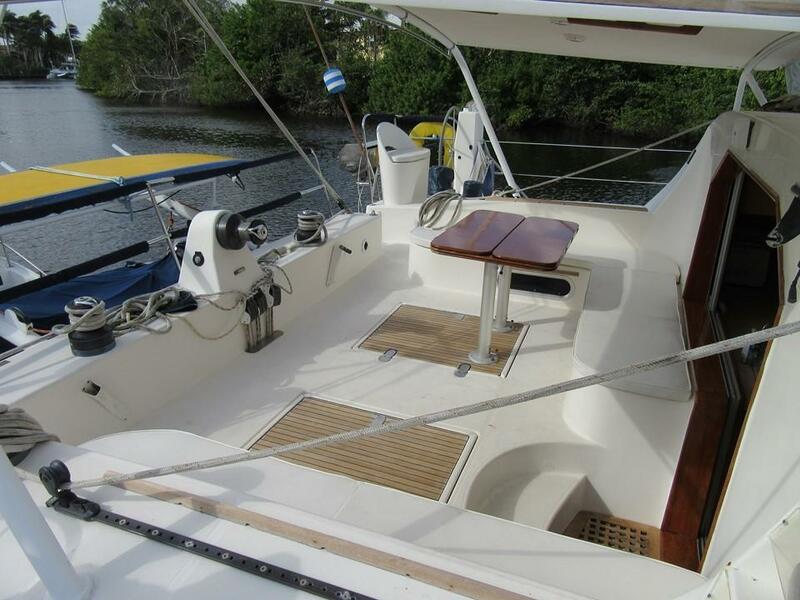 Simple, no frills and utilitarian. 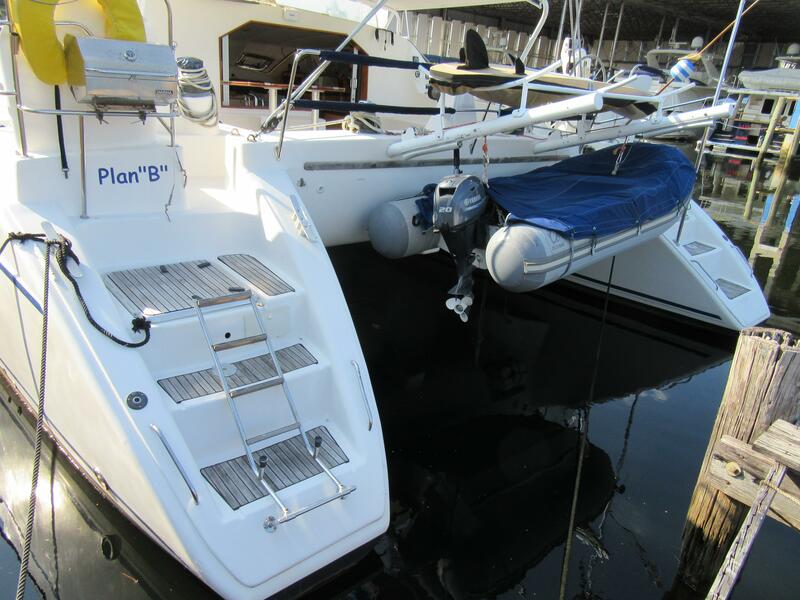 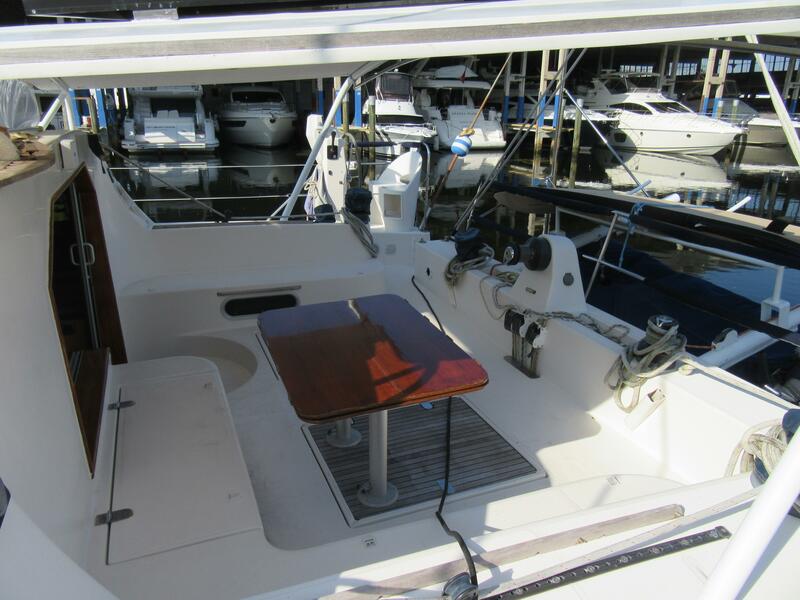 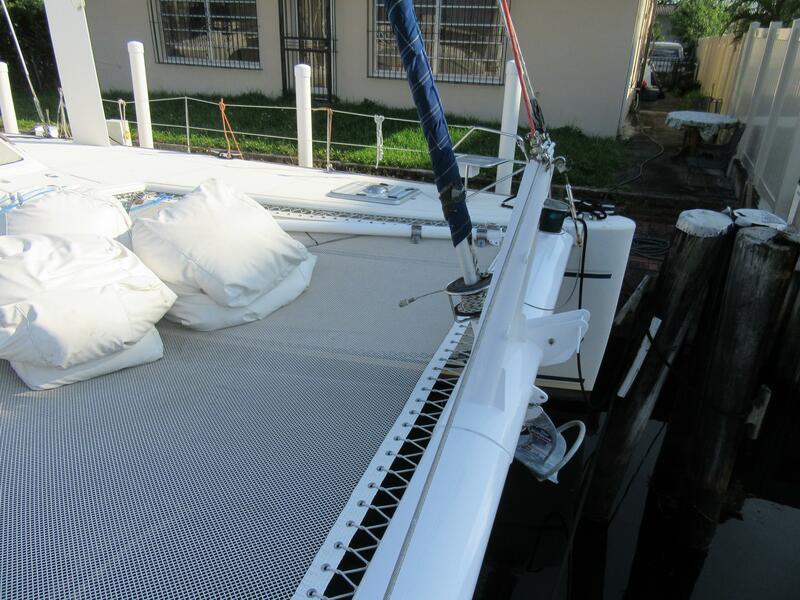 Two single bunks situated under the salon seating and accessible from the hulls offer extra sleeping or storage. 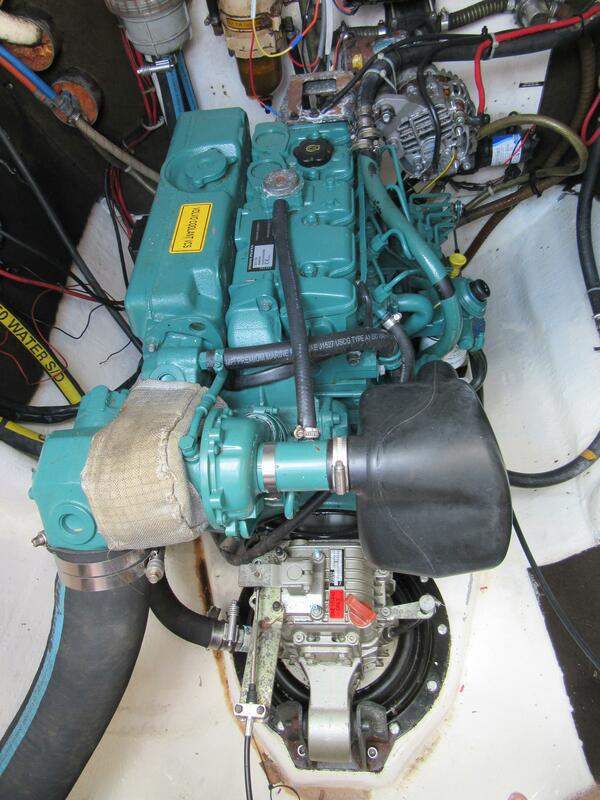 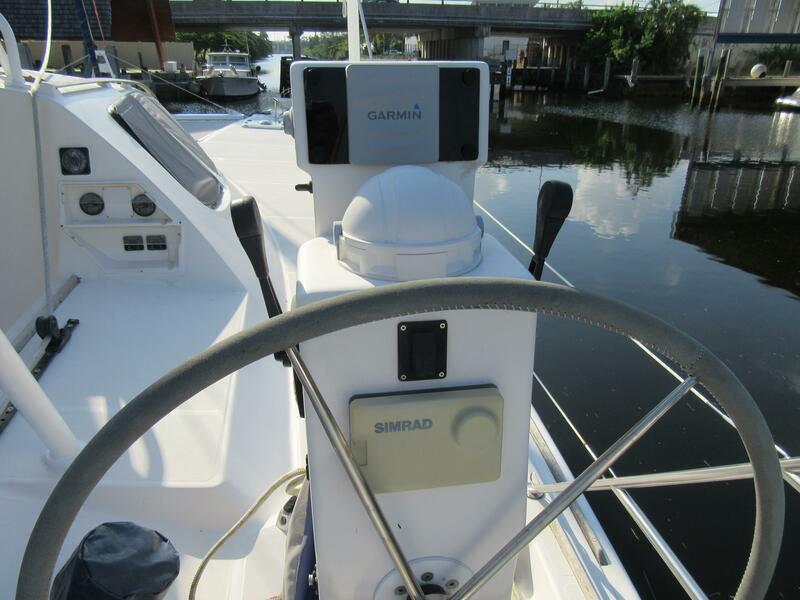 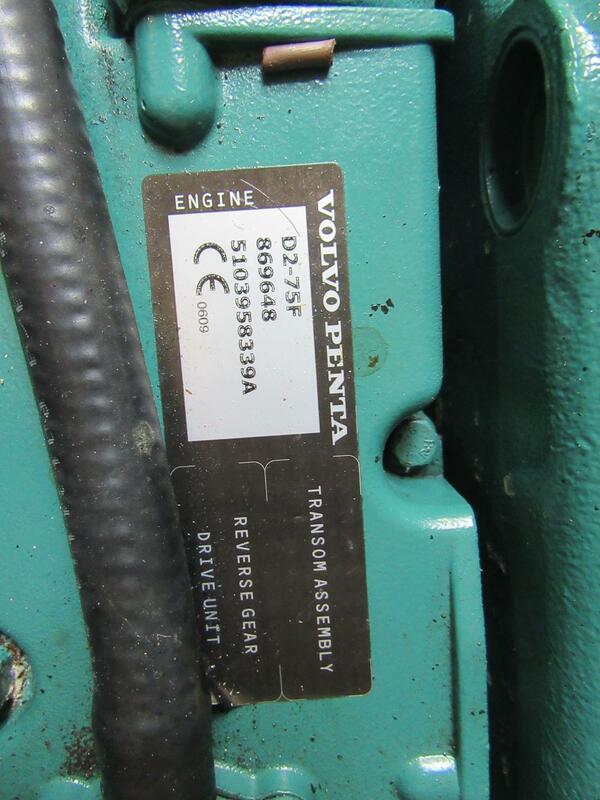 Two new Volvo D2-75 HP engines with new saildrives were installed in October 2017 and have a few hundred hours on them. 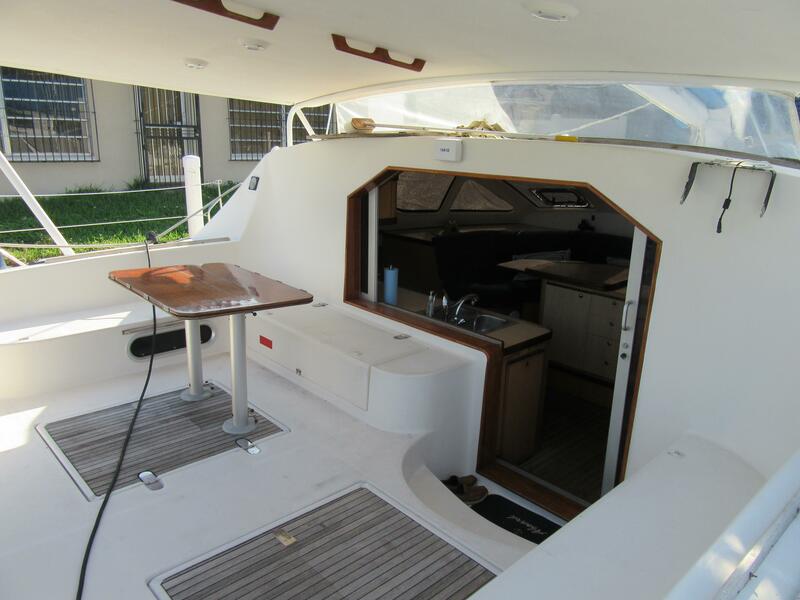 The salon windows were recently rebedded and resealed. 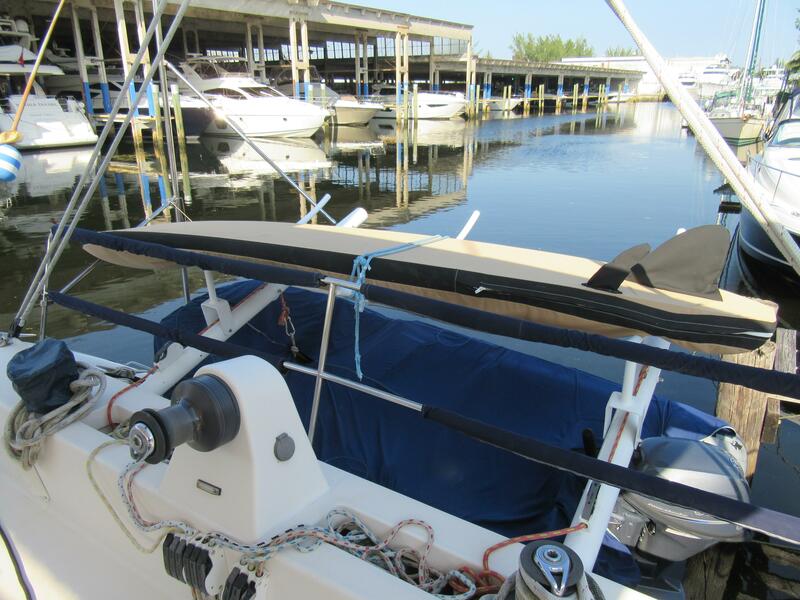 A recent dinghy package featuring Zodiac RIB dinghy and Yamaha 20 HP outboard will get you places swiftly from your anchorage. 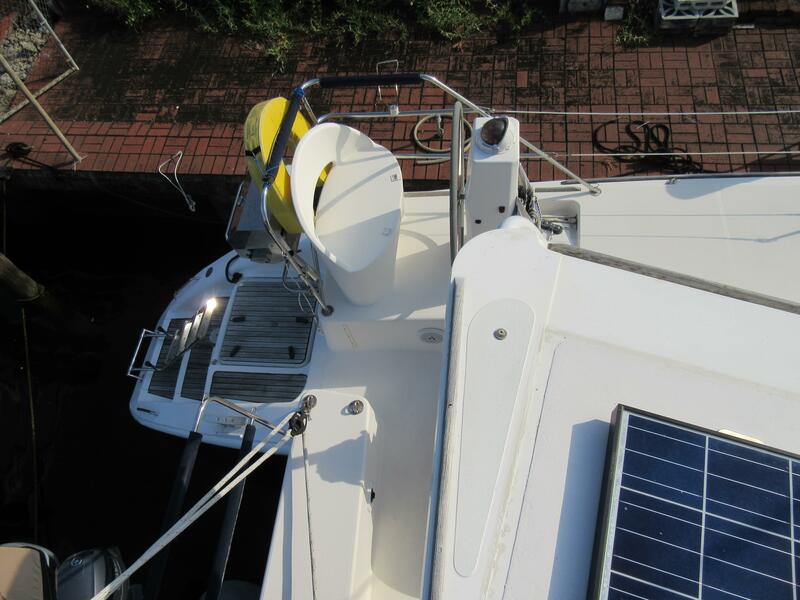 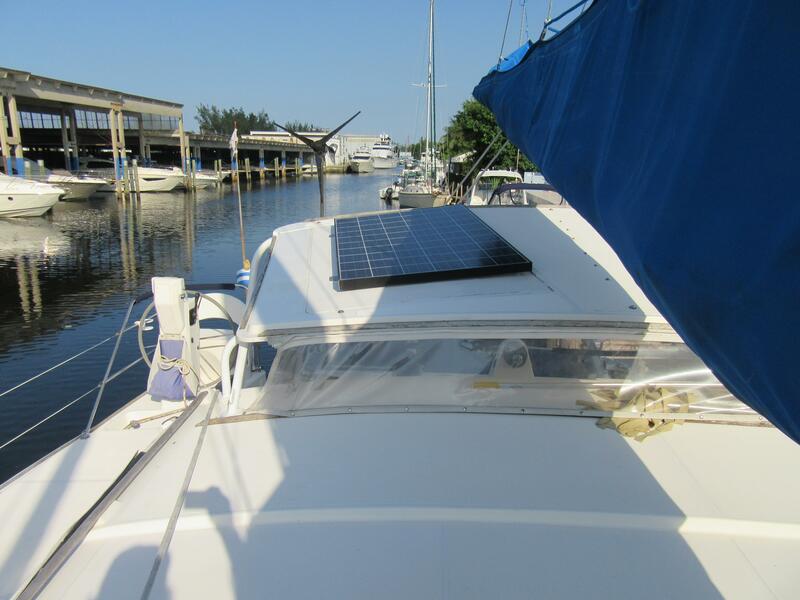 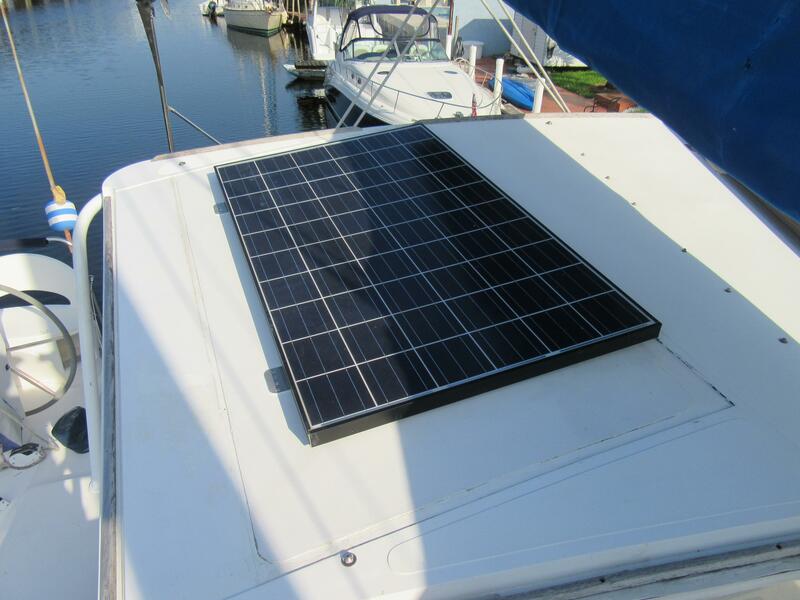 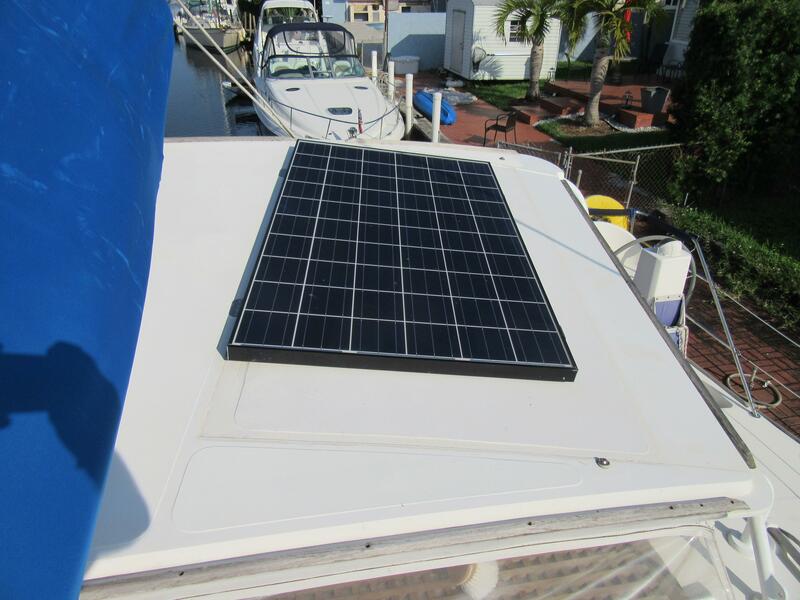 In keeping with its design brief, this sailing cruiser is equipped with simple, reliable power generation: solar panels, large engine alternators and a wind gen keep the boat’s systems humming along without compromising speed. 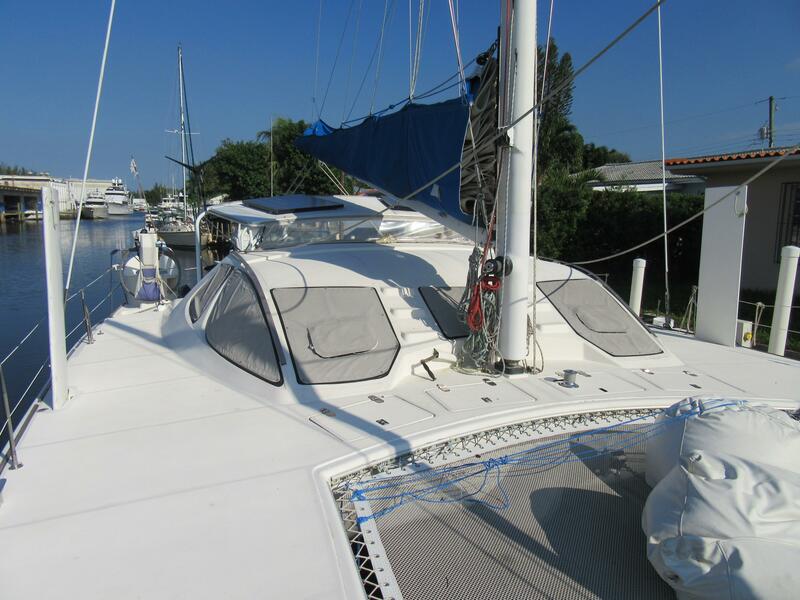 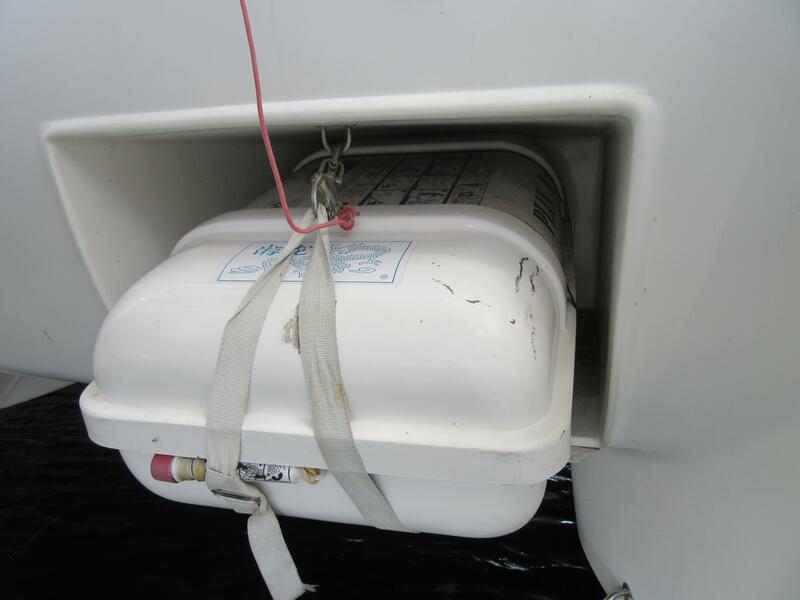 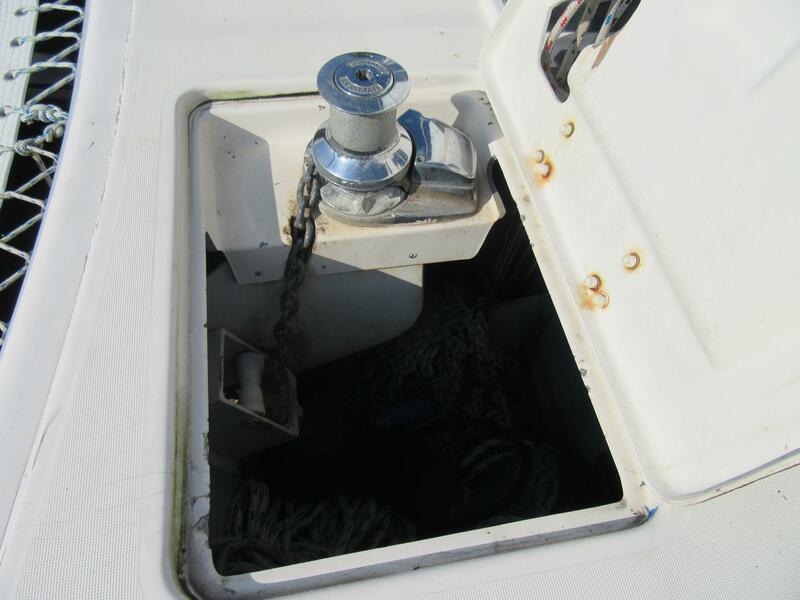 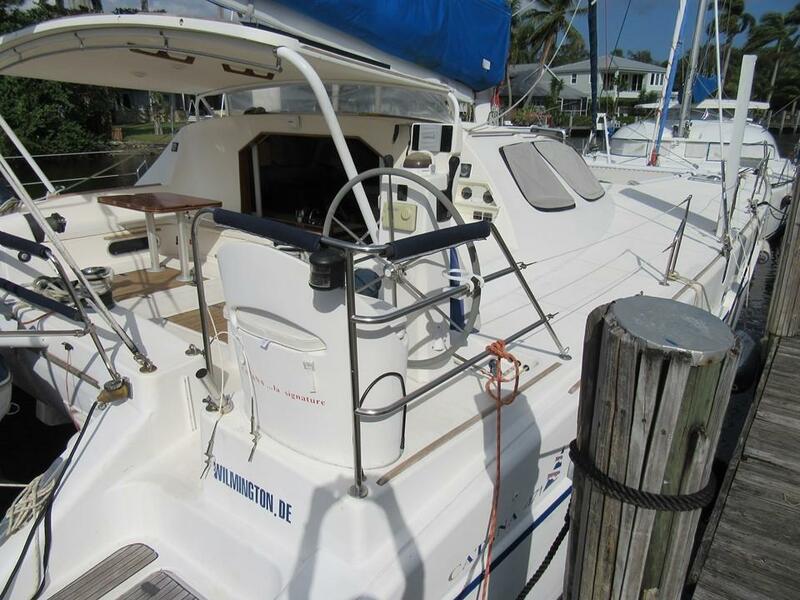 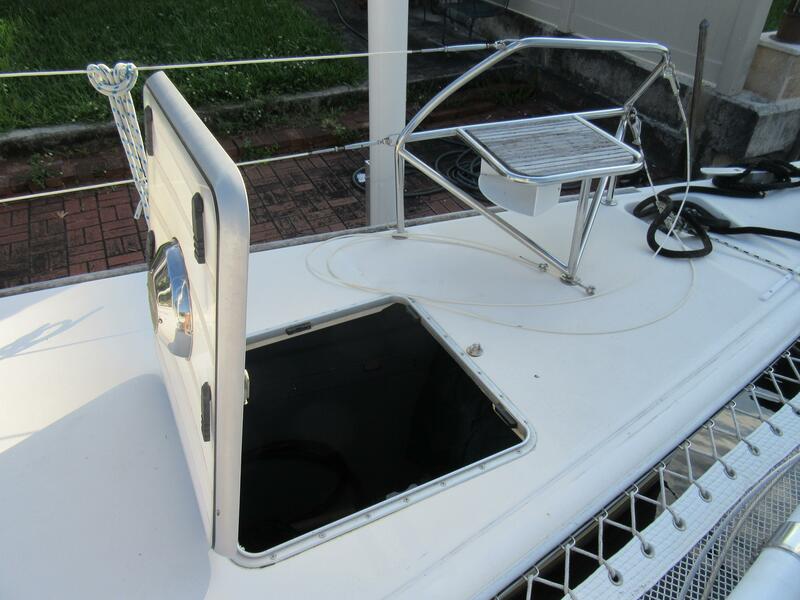 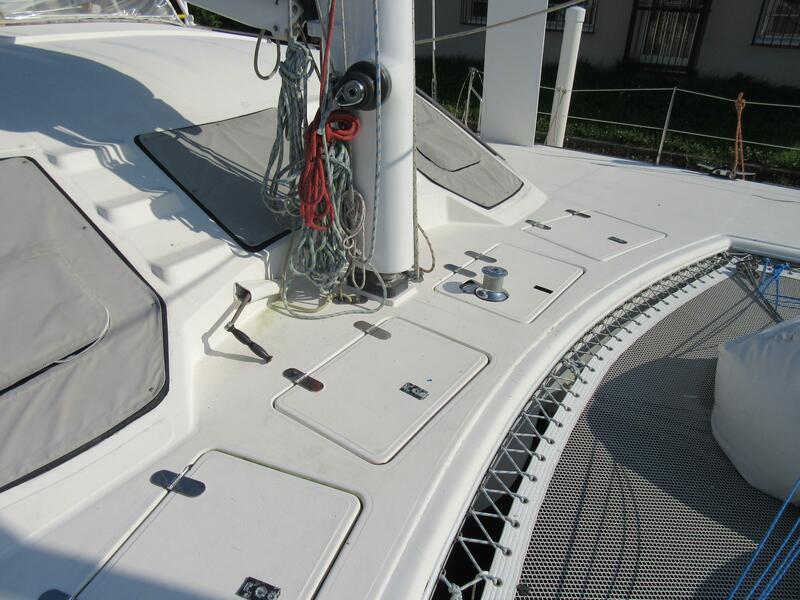 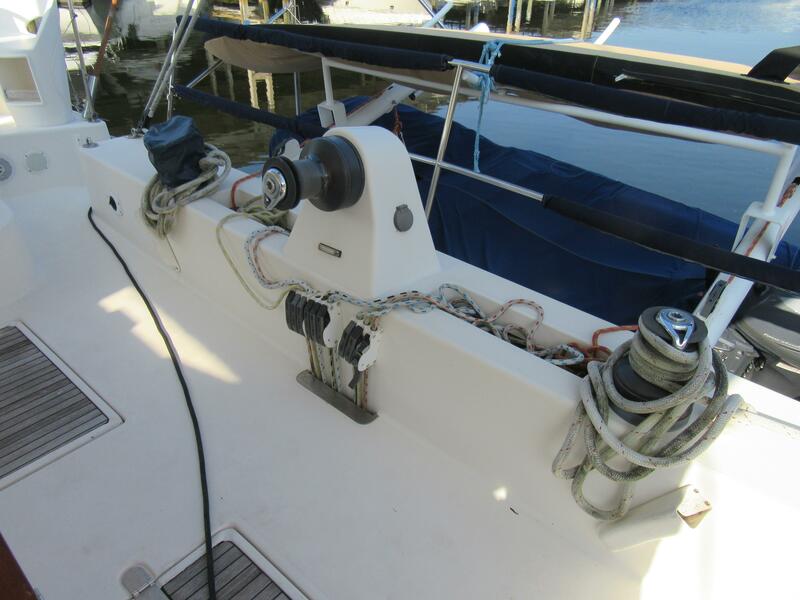 If you like to sail unencumbered and to limit your hours spent in the bilges maintaining systems, this is a solid choice for your cruising program. 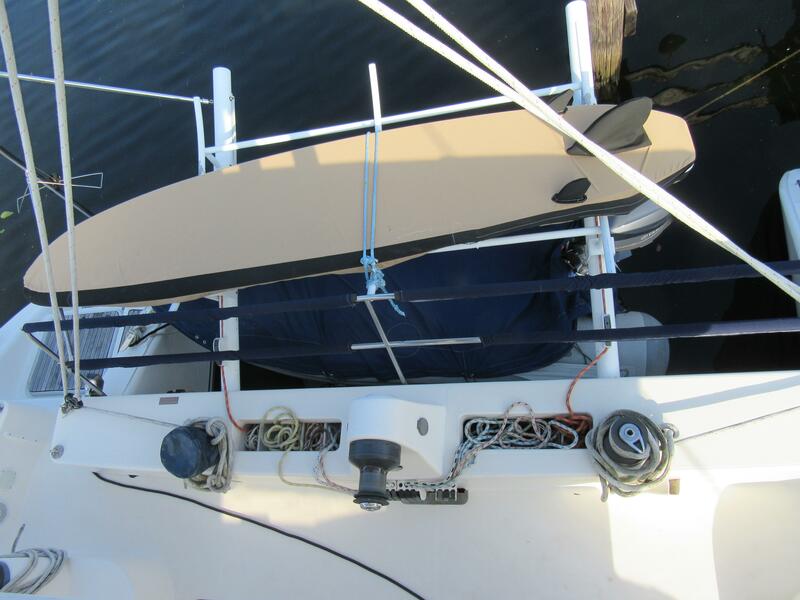 The boat was last hauled in the spring 2018 for bottom paint and new rudder bearings. 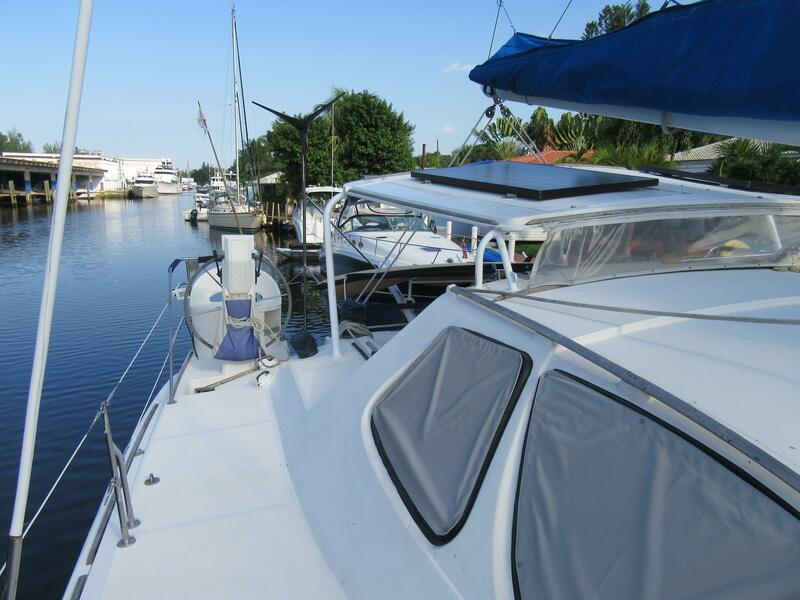 Conveniently located on the New River in Fort Lauderdale. 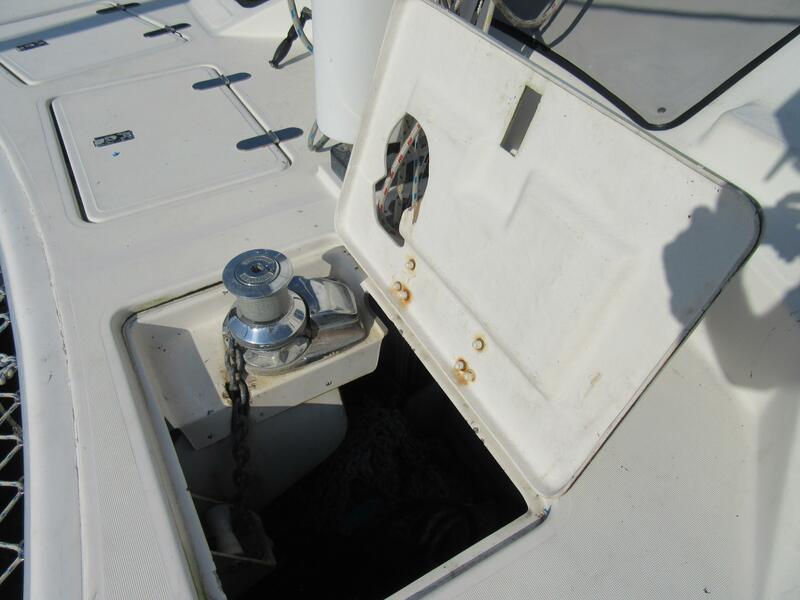 2 heads and 2 showers: one head with vanity in one stall and one shower with vanity in separate stall in each hull. 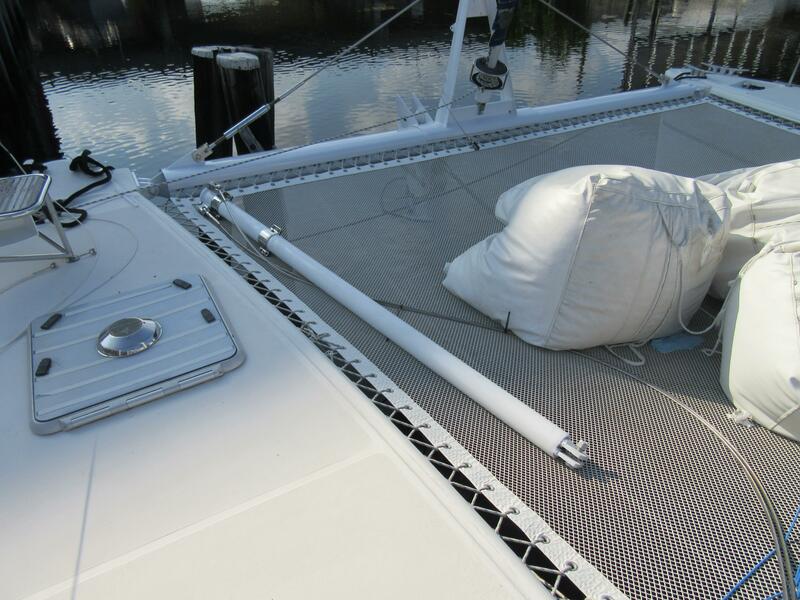 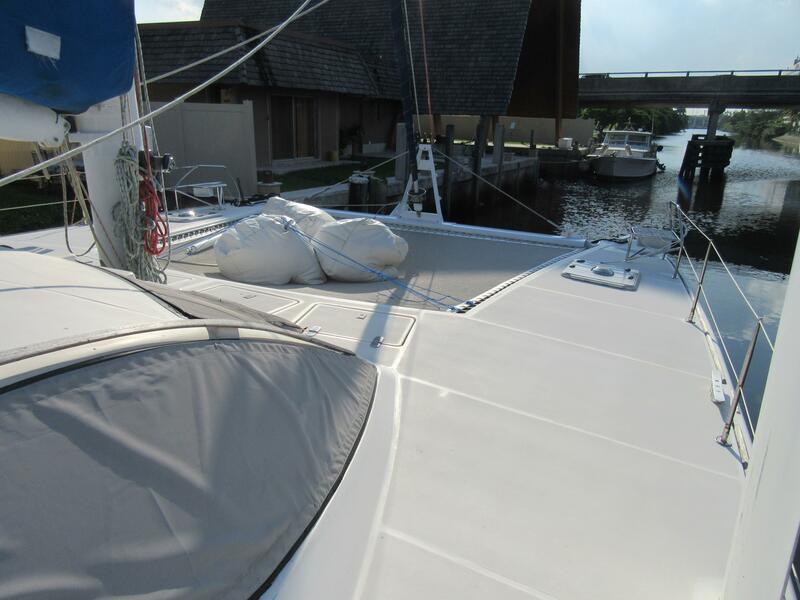 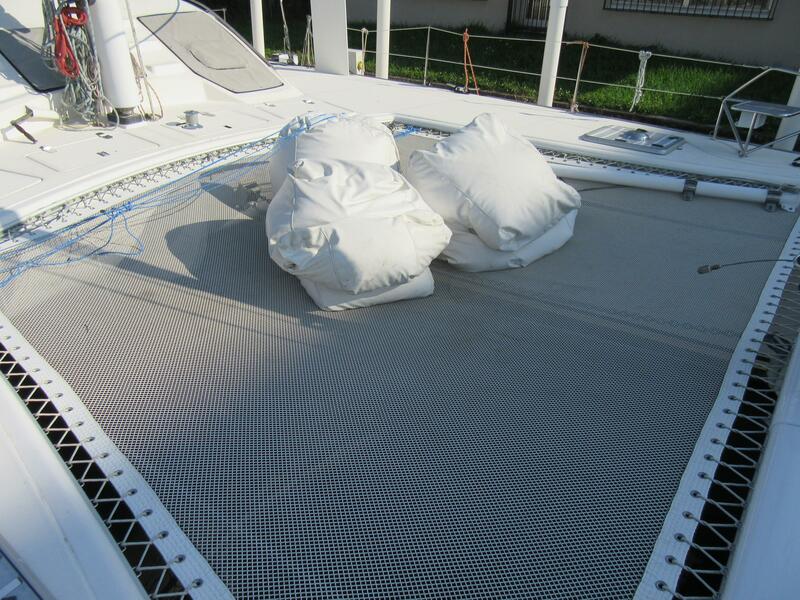 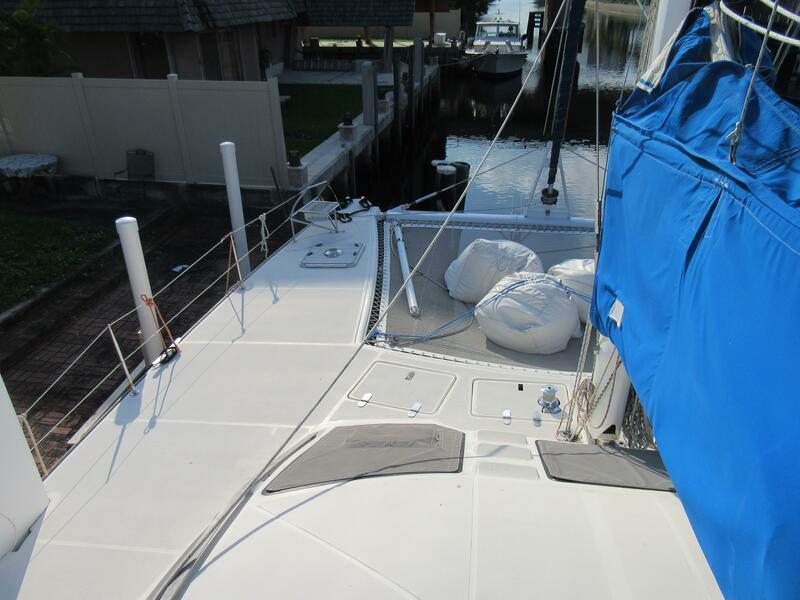 Sails into the low and mid teens and can average 8-9 kts over long periods under sail.